This weekend, I tootled down to Bexley Heritage Trust to see the contemporary art exhibition, ‘Beastly Hall’. 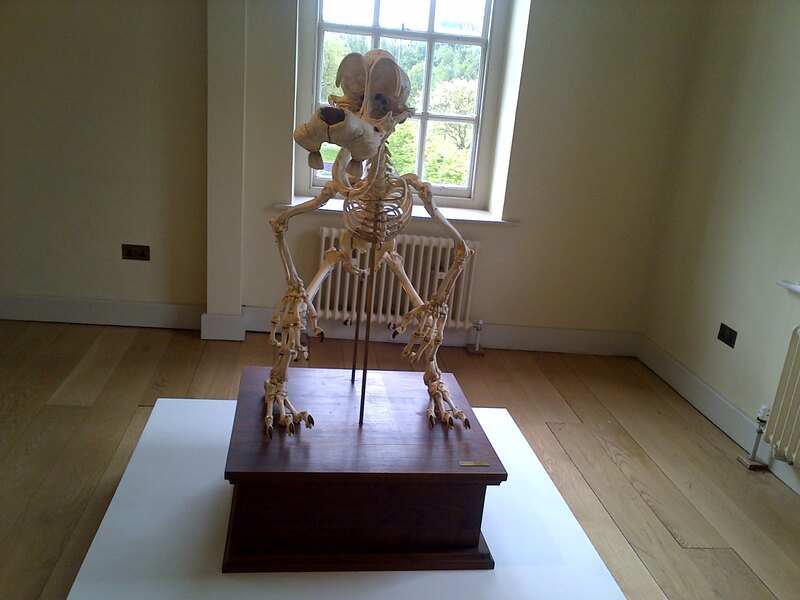 It is described as a step ‘into the fantastical mind of contemporary artists, exploring and revealing a more subversive contemplative and sometimes humorous idea of ‘beasts.’ It is a collection that includes: paintings, sculptures, taxidermy, ceramics, sound, bone and bronze and specially created site-specific installations. This surreal and fantastical exhibition was a visual feast and sparked the imagination with its oddness and often grotesque portrayal of creatures. 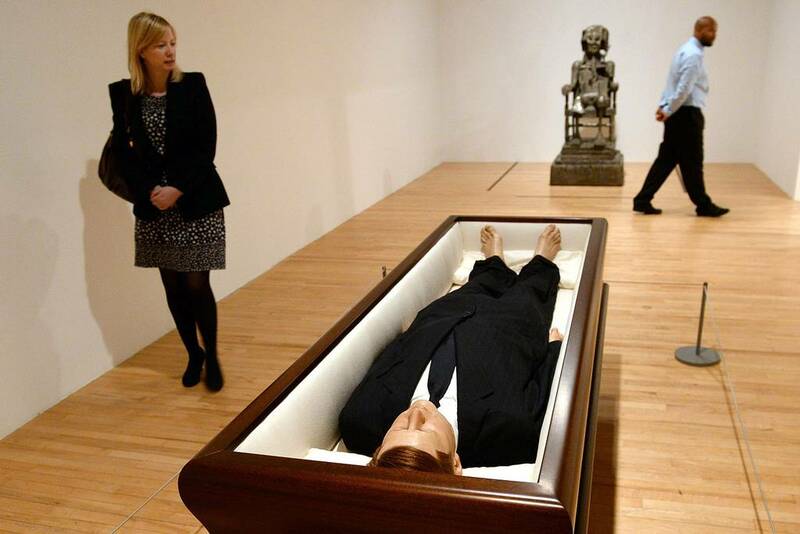 The different works that were featured were diverse and wide-ranging, from the well-known Damien Hirst to the lesser known contemporary artists, which made for an incredibly interesting experience. 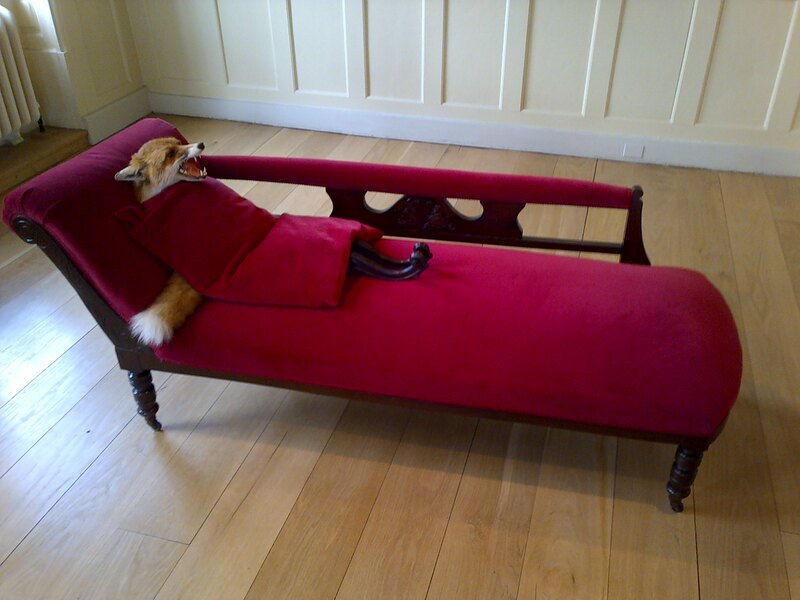 A personal favourite of mine was Nina Saunder’s ‘Fox with Issues’, which uses taxidermy to comically bizarre effect, with a fox seemingly venting his mental problems to a psychiatrist nowhere to be seen. This work conjured up questions as to what it means to be human and have issues – mental health is something that is exclusively associated with people so what kind of issues does this fox have, exactly? Another favourite was HyungKoo Lee’s ‘Ridicularis’ which is a painstakingly accurate and realistic representation of the well-renowned cartoon character, Goofy. This is a theme of Lee’s who imagines the skeletal forms of cartoon characters as objects in a museum, complete with Latin names. In person, there is something awe-inspiring about the work as Lee manages to successfully elevate the cartoon characters’ status from popular culture to natural history with amazing dexterity.